We often hear government officials and mainstream financial pundits throwing around numbers like a billion or trillion. To most Americans these numbers are indiscernible. They are so incredibly enormous that we can’t even imagine what one billion dollars actually looks like, let alone what it takes to generate such capital. And a trillion, or better yet, the $17.9 Trillion that is our national debt? Forget about it! That’s so much money that we’re talking piles of cash the size of skyscrapers. But even a visualization like this makes it difficult to understand how much money this actually is. Ann Bardnhardt, who in 2011 shut the doors to her investment firm and urged her clients to withdraw their money from all markets because she says the entire system has been utterly destroyed, will blow your mind in her most recent blog post. It turns out money the way we were taught to understand it in school isn’t really how we should be valuing economies or debt. Instead, we need to be looking at what that money represents. This post was published at shtfplan on October 31st, 2014. Elephants are the world’s largest land animals. And though there aren’t many, they can still be found scattered across the planet. In the mining industry, super-large-sized deposits are often referred to as elephants. Like the animal, these deposits aren’t all that common. But also like the animal, they can still be found. Elephant country is somewhere miners tend to gravitate towards in their hunt for meaningful discoveries, as elephants can usually be found in herds. And one of the world’s most prolific gold herds is found in British Columbia’s Golden Triangle. The Golden Triangle, also known as the Stewart district, is located in northwestern BC. I’ve seen several different illustrations of this triangle drawn out on a map, but they’re all very similar with the long end stretching south to north from the town of Stewart to Dease Lake, roughly 300km. I won’t go into a ton of geological detail, but the Golden Triangle resides in what is known as the Stikine terrane. It is generally believed that this terrane’s hydrothermal systems were seasoned longer than most. And the effect is a cornucopia of mineralized deposits including the volcanogenic massive sulfide, alkaline porphyry copper-gold, and transitional epithermal intrusion-related precious-metals types. This favorable geology has yielded several elephants. The Golden Triangle has seen mineral exploration for over a century. And modern methods over the last half century or so have unearthed some of its greatest treasures. The best known as measured by yield is the famous Eskay Creek gold/silver deposit. This Barrick-run mine was once the world’s highest-grade gold mine (48 g/t) and fifth-largest silver mine by volume. Eskay Creek closed due to depletion in 2008, and over its life produced 3m ounces of gold and 160m ounces of silver. While Eskay Creek was quite impressive, the Golden Triangle’s largest elephants are still in the ground. Towards the north are the massive Galore Creek and Schaft Creek projects. These projects, majority owned by Novagold and Teck Resources, hold two of the world’s largest undeveloped copper/gold deposits. Their combined resources of 22b pounds of copper and 21m ounces of gold, along with substantial byproducts of silver and other base metals, are astonishing. Moving south closer to Stewart we find the KSM, Snowfield, and Brucejack projects. These polymetallic projects also hold a smorgasbord of metals, but with higher concentrations of gold. Seabridge Gold’s KSM project is the largest of the bunch, a 70m-ounce 23m-pound gold/copper behemoth. Snowfield and Brucejack are much smaller relatively speaking, containing around 30m ounces of gold resources each. But these elephants still rank within the top 5% globally in terms of size. So as you can see, the Golden Triangle is host to one of the world’s most robust elephant herds. But while elephants are highly desirable assets for miners to have in their portfolios, they do have their drawbacks. And the most onerous is the massive amount of capital it requires to develop them. In order to profitably mine large lower-grade polymetallic deposits, they typically need to operate on economies of scale (large-scale production). Once up and running proposed operations at such projects as KSM, Galore Creek, and Schaft Creek would indeed deliver high margins/profits, even at today’s metals prices. But getting them up and running is no easy task since large-scale mines come with large-scale price tags. This post was published at ZEAL LLC on October 31, 2014. The BoJ Goes Even Crazier It has been clear for a while now that the lunatics are running the asylum in Japan, so perhaps one shouldn’t be too surprised by what happened overnight. Bloomberg informs us that ‘Kuroda Jolts Markets With Assault on Deflation Mindset’. ‘Today’s decision to expand Japan’s monetary stimulus may be regarded as shock treatment in the central bank’s effort to affect confidence levels. Bank of Japan Governor Haruhiko Kuroda’s remedy to reflate the world’s third-largest economy through influencing expectations saw the yen sliding and stocks climbing. Kuroda led a divided board in Tokyo in a surprise decision to expand unprecedented monetary stimulus. Bank officials hadn’t provided any hints in recent weeks that additional easing was on the cards to help reach the BOJ’s inflation goal. Kuroda, 70, repeatedly indicated confidence this month that Japan was on a path to reaching his 2 percent target in the coming fiscal year. Just three of 32 economists surveyed by Bloomberg News predicted extra easing. ‘We have to admit that this is sort of a second shock – after we had the first shock in April last year,’ said Masaaki Kanno, chief Japan economist at JPMorgan Chase & Co. in Tokyo, referring to the first round of stimulus rolled out by Kuroda in 2013. Kanno, who used to work at the BOJ, said ‘this is very effective,’ especially because it comes the same day as the government pension fund said it will buy more of the nation’s stocks. This post was published at Acting-Man on October 31, 2014. It turns out that silver nanoparticles are not as solid as initially thought, making their use in electronic components and circuits a bit challenging as gadgets become increasingly smaller. Fortunately, there is a solution. Because of its superb electrical conductivity and high melting temperature, silver is used in many aspects of electronic design. Recently, however, scientists have discovered that as the particles become microscopically smaller – in the 10 nanometer range – their outside layer mimics water droplets, wobbling and changing shape, while the inside stays stable. This can be problematic for their use in electrical contacts at the molecular level (10 nanometers is one-thousandth of the width of a human hair) as the silver could leak and cause short circuits. This could be especially challenging in devices that move around a lot or rely on movement like tiny motors or sensors in mobile applications. A research team at MIT first noticed this phenomenon while studying silver nanoparticles but they believe it will apply to other metal nanoparticles as well. This post was published at GoldSilverWorlds on October 31, 2014. 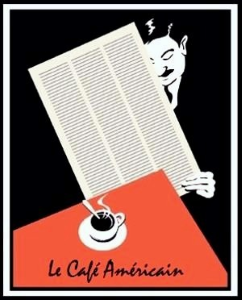 Italy unemployment edges up once again. Consumer spending falls. New home sales are imploding. Gold smacked down to sway the Swiss voters to a no vote. Australia open to joining China’s new banking system. Russia investigating anomalies in the Moscow exchange. Democrats trying to control free speech by limiting YouTube videos. China sending 480 military medics to Liberia. Ukraine and Russia agree on gas price. Fighting reignites in Ukraine right before the elections on Nov 2. DHS reports black energy malware found in energy control system in the US. The report blames Russia. Be prepared for a false flag event. It is a mistake to underestimate the depths of self-serving policy error to which Wall Street and the ruling elite will sink in order to kick the can down the road and maintain their positions of privilege. Every time I think they can go no further, I am surprised. Shame on me. The Fed has never seen a bubble it didn’t like. And if the trickle down isn’t working, keep doing the same thing, but even more. Tempting fate doesn’t begin to cover it. There was intraday commentary here. Although I do not mention it, there may have been a veiled message in there for the people of Switzerland, to comply and conform their domestic policies to the monied interests. Try to remember those who have passed away on this weekend, as has been the fourteen centuries long tradition in western Christian culture on All Saints’ Day, when in 610 AD Boniface IV consecrated the Pantheon in Rome to the memory of Mary and the martyrs. And you might have a mind for those who remain in the struggle for justice and righteousness, All Souls, on the day after. I will remember you, as always. Quaintly foolish notions these days, I know, among those who would be as gods, or perhaps already are, at least in their own minds. And may the odds be ever in their favour. This post was published at Jesses Crossroads Cafe on 31 October 2014. In this episode of the Keiser Report, Max Keiser and Stacy Herbert discuss how, in the words of Laura Ingalls Wilder, once you begin being naughty, it is easier to go and on and on, and sooner or later something dreadful happens. And in a world of very naughty bankers, many dreadful things have happened. In the second half Max interviews Dan Collins of TheChinaMoneyReport.com about the emerging post-dollar order as evidenced in the newly launched Asian Infrastructure and Investment Bank and the Shanghai-Hong Kong Connect scheme. They also discuss how in China Jim Rickards went viral and how steel costs as much as cabbage. This one was so good, we’re making it public! In this podcast Chris and Mish let their guard down and say a few choice words about the actions of central banks that obviously and seriously harm average people all in the service of assuring that banks and governments can continue to operate as they have in the past. Who Will Suffer From A Leveraged Credit Shakeout? Of all the noteworthy moments from the 2014 CFA Institute Fixed-Income Management Conference, the bombshell may have been the default call from Martin S. Fridson, CFA. Fridson, CIO at Lehmann Livian Fridson Advisors, has been a leading figure in the high-yield bond market since it was known as the ‘junk bond’ market – and he sees as much as $1.6 trillion in high-yield defaults coming in a surge he expects to begin soon. ‘And this is not based on an apocalyptic forecast,’ he assured the audience. High-yield bonds, typically issued with credit ratings at the bottom of the scale, tend to suffer default surges during troughs in the credit cycle. The first high-yield default surge occurred from 1989 to 1992, and encompassed the collapse of Drexel Burnham Lambert. The second surge ran from 1999 to 2003, following the bursting of the dot-com bubble, and the third happened in the midst of the global financial crisis, from 2008 to 2009. Fridson suggests the next default surge will be larger than the last three combined. Each surge saw an average annual high-yield default rate above 7% (which, if extended over a multi-year period, can add up to real money). This post was published at Zero Hedge on 10/31/2014. Plans are afoot for a new Nicaraguan canal which that would dwarf the existing Panama Canal to its south, but the only problem is that the project will effectively partition central America’s largest lake. Although the deal has been fast-tracked by the Ortega government, the local population do not support it at all, not least of all because the project will decimate Lake Nicaragua – the region’s most valuable natural resource. Critics believe that this deal amounts to a near full foreign Chinese takeover of a large portion of the Nicaraguan economy, and with a cost of at least $40 billion, the project’s value will be four times the size of country’s 2011 gross domestic product. President Ortega handed a 100-year concession to Chinese telecommunications magnet Wang Jing and Wang’s Hong Kong-based HKND Group (registered in the Cayman Islands). In addition to Lake Nicaragua, Wang’s lucrative concession also includes control over giant tracks of Nicaraguan private and public required to build and manage the canal. The Chinese also net a number of other sweeteners in the deal – including two ports, free trade zones, airport, and hotel and resort properties. This post was published at 21st Century Wire on October 31, 2014. The new NBA season started this week. And with it the new salary cap for 2014-15 entered into force. It increased by 7.5% and is now at a record high of $63 million. Yet another ‘all time high’ in a world where everything seems to be hitting the moon. 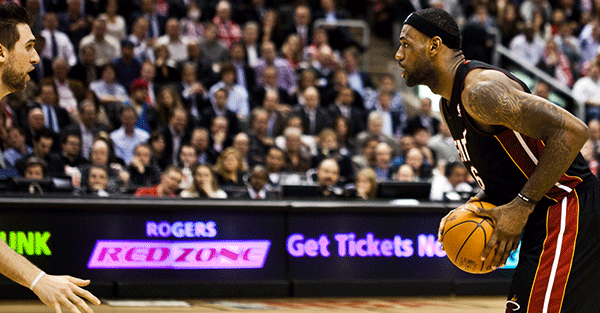 NBA’s salary cap increased only marginally in the previous seven years. It went from $55.6 million per team in the 2007-08 season to $58.7 million for 2013-14, an increase of 5.6%. Now it more than made up for it. Similar increases have been happening across the board in sports. Let’s look at the most popular sport around the world, soccer (or as it’s know in most places, football), as a credible example. Transfer and wage amounts in soccer have risen markedly especially since the European Central Bank President Mario Draghi vowed to do ‘whatever it takes’ to save the euro two years ago and since the Bank of England has been flooding the market with pounds at an annualized growth rate of more than 20% in recent years. Everyone expected that it was a giant aberration when Real Madrid paid 94 million euros for Manchester United’s Portuguese star Cristiano Ronaldo in 2009 and that the record will hold for years to come. Yet it was swiftly broken last year when Real spent 100 million euros on Gareth Bale from Tottenham. Of the ten highest transfers in soccer of all time, seven happened since last year’s summer. 20 clubs in the English Premier League spent a record $1.3 billion on transfers during the latest transfer window in July and August. That blew away the previous high of just over $1 billion set a year earlier. What’s especially striking is how amounts in the tens of millions have spiraled and are now easily spent on players considered nowhere near the top of the game, such as the combined 100 million euros spent by Zenit Saint Petersburg on Axel Witsel and Hulk from Porto. This post was published at Sovereign Man on October 31, 2014. Gold And Silver Price Crash Of 2014 Coming? Both gold and silver went sharply lower this week, especially yesterday and today. Gold in U. S. Dollars closed the trading session and trading week at 1,172.49, a decline of 2.14% on the day. Silver closed at 16.14 U. S. Dollar, which is 1.53% lower on the day, albeit a spike lower during the trading session to $15.65 for only some minutes. What is happening with the metals? Are the price of gold and silver about to crash to a low of 2014 or has the worst passed? Before trying to answer those questions, it is important to look at the developing activity across markets. The key point is that the drivers for the gold and silver price are mainly two other key assets: the U. S. Dollar and equities. Central banks are driving the financial world Today, the Japanese central bank (Bank Of Japan, also BOJ) decided to launch a mega-money-printing program. The BoJ aims to increase its monetary base by 80 trillion yen annually, from 60-70 trillion yen previously, and boost the average maturity of JGB purchases 7-10 years. When BoJ Governor Kuroda began his current QQE program, he said Japan would reach 2% inflation in two years. The two-year deadline ends in around five months and inflation is still only halfway to the BoJ’s target. There is essentially no chance that the bank will meet this target, even with this new stimulus. As a result, the US dollar was bid on the back of the Fed’s statement as US Treasury Bond yields rose and stocks fell. Since then the US dollar has gained even more ground against the struggling euro and yen, while the kiwi and aussie have been able to hold their ground on the back of robust investor sentiment and a slightly risk-on tone in the market. U. S. Dollar strength According to Matthew Weller, the reaction to the Fed’s statement is somewhat more severe than one might expect, given that the actual course of monetary policy in the US remains very data dependent. While the Fed noted that the likelihood of inflation running persistently below 2% has diminished somewhat, we are still yet to see a meaningful pickup in consumer price growth. Some of this can be attributed to lower energy prices, but even once food and energy prices are taken out, inflation remains stagnant around 1.7% y/y. The COT reports which we look at each week provide a breakdown of each Tuesday’s open interest for markets in which 20 or more traders hold positions equal to or above the reporting levels established by the CFTC. The weekly reports for Futures-and-Options-Combined Commitments of Traders are released every Friday at 3:30 p.m. Eastern time. The short report shows open interest separately by reportable and Non-reportable positions. For reportable positions, additional data is provided for commercial and non-commercial holdings, spreading, changes from the previous report. 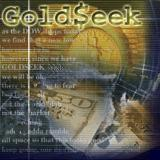 This post was published at GoldSeek on 31 October 2014. An offshoot of ‘Occupy Wall Street’ is taking the $1.2 trillion student loan bubble, debt servitude dilemma of America’s youth into its own hands… bit by tiny bit. As The BBC reports, activist group ‘Rolling Jubilee’ wants to “liberate debtors” by buying student-debt-bundled ABS on the secondary market (where they trade at significant discounts) and writing off the underlying loans. As Rolling Jubilee notes, “your debts are on sale… just not on sale to you,” until now. Rolling Jubilee says the problem lies deep within the structure of the education system and the way that selling education as a commodity reinforces inequality. “It is documented that they end up worse off and have no better chance of getting work than if they simply finished high school,” she says. This week, the Federal Reserve chief Janet Yellen warned the quadrupling of the student loan debt since 2004 represented a barrier to social mobility. “Halloween, or Hallowe’en, is a contraction of “All Hallows’ Evening”, also known as Allhalloween, All Hallows’ Eve, or All Saints’ Eve, and is a yearly celebration observed in a number of countries on 31 October, the eve of the Western Christian feast of All Hallows’ Day. However, most importantly, it is a great time to spend with family and friends, dress up in costumes and over indulge in the many “treats” that come along with the celebration. “Historic bailouts have increased the number of corporate zombies living off of easy money, hindering restructurings and holding back the expansion of healthier companies, restructuring experts here and in the U. K. warn. “Fed officials welcomed the continued improvement in the economy, particularly signs that the underutilization of labor resources is gradually ‘diminishing,’ though only ‘gradually’ despite ‘solid gains and a lower unemployment rate.’ On the second element of its dual mandate — stable inflation — the central bankers acknowledged the fall in market measures of forward inflation but played down the risk of damaging deflation by also pointing to other metrics of inflationary expectations. This apparent lack of conviction, while frustrating to many, is understandable and warranted. This post was published at StreetTalkLive on 31 October 2014. The Fed very deliberately stopped a market correction and managed to turn the equity marke.ts around, very consciously, in order to end their taper without any negative effects to Wall Street. Last night the Bank of Japan announced a more aggressive quantitative easing AND pledged a portion of their national pension fund to buying not only Japanese equities but also the equities of foreign markets. The Fed and the Bank of Japan are back doing the money printing tag team and carry trades that carried the markets higher from 2002 to 2007 and helped to create the housing bubble and the subsequent financial crisis. And it is obvious that Wall Street and the ruling elite have learned absolutely nothing. They go from crisis to crisis, with their delusions of power growing with each successful fraud. If there is another financial crisis and bailout, prosecutions may be among the least of their problems. Right now the BOJ is exporting deflation to the US in the form of a strong dollar. This is not going to help a recovery, but Yen based printed money may help to swell paper assets. Gold dropped $37.02 to $1161.68 by late morning in New York before it edged back higher in afternoon trade, but it still ended with a loss of 2.19%. Silver slipped to as low as $15.805 and ended with a loss of 2%. Euro gold fell to about 936, platinum lost $8 to $1232, and copper fell slightly to about $3.05. Gold and silver equities plummeted about 7% at the open before they bounced back higher at times, but they still ended with about 5% losses.